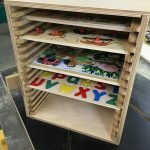 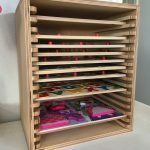 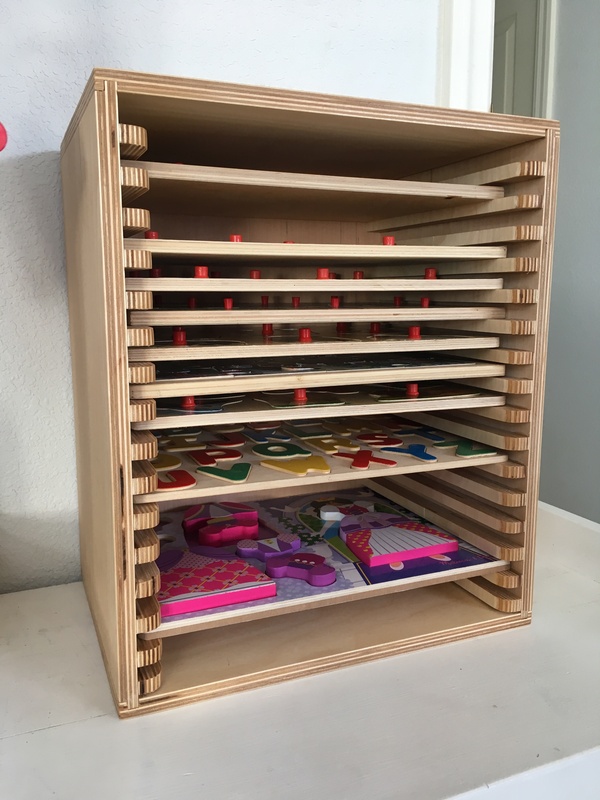 I just finished building a 16-puzzle storage box so that we can consolidate all of our board puzzles from three different smaller boxes to one large one. 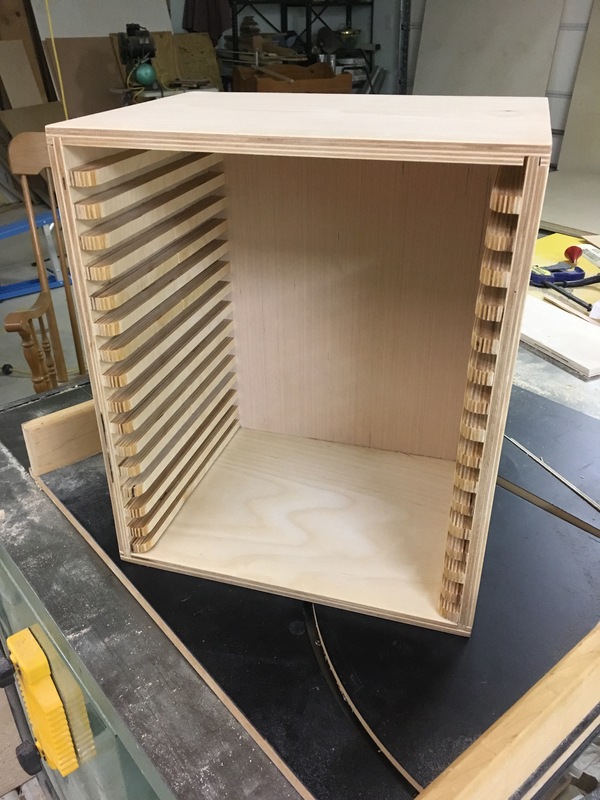 Not a lot to say about this one; it’s just a Baltic birch box with a bunch of little supports along each side. 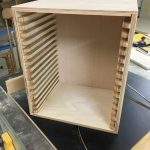 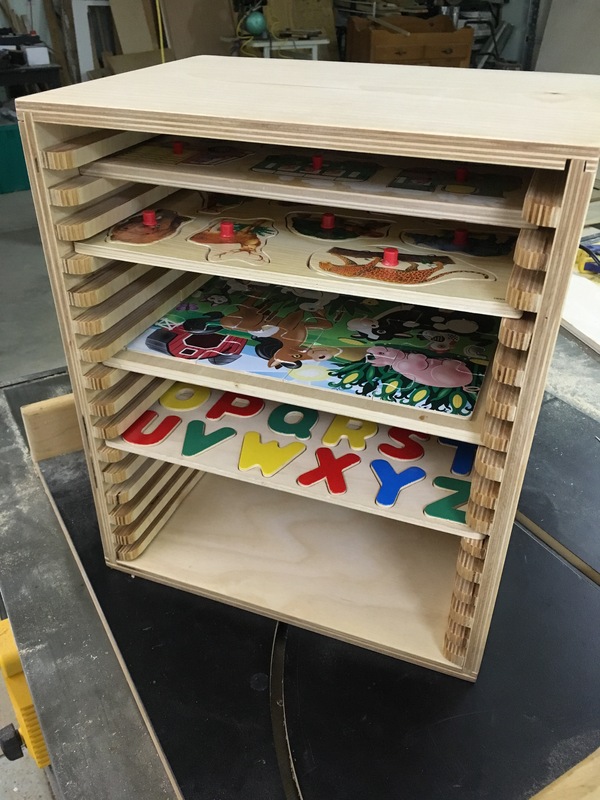 I used lock rabbets to join the box sides and 1/4″ plywood for the back.